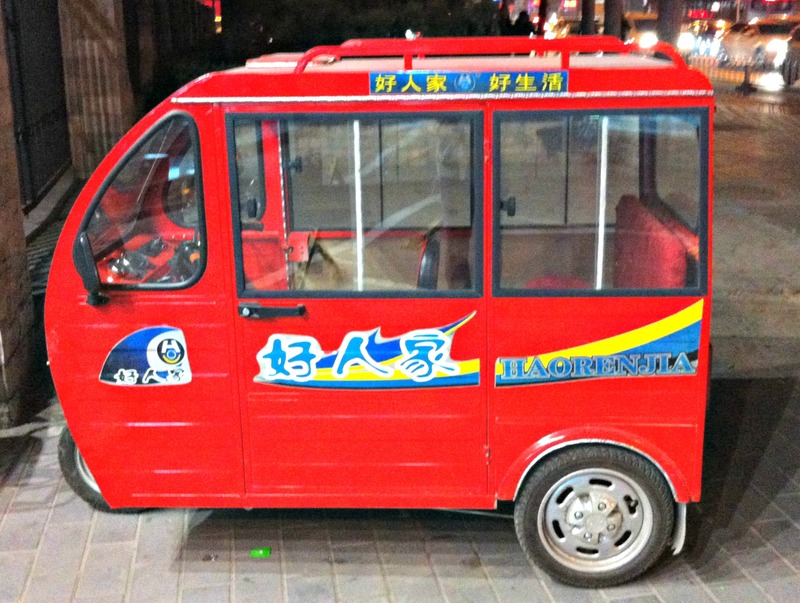 Day 176 in Beijing: I. Want. This. Car. 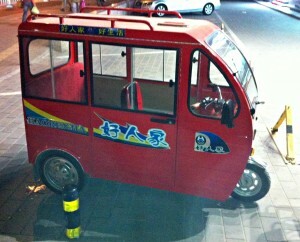 It is smaller than the “Smart Car” by a long (short?) shot and electric. It would be perfect for Jill and me. It is also pretty inexpensive. It goes for about 400-500 USD and you can remove the lithium-ion battery and plug it into a normal household outlet. I want to cuddle this little guy! The battery is about 1 foot by 5 inches by 5 inches and weighs about 5 pounds. 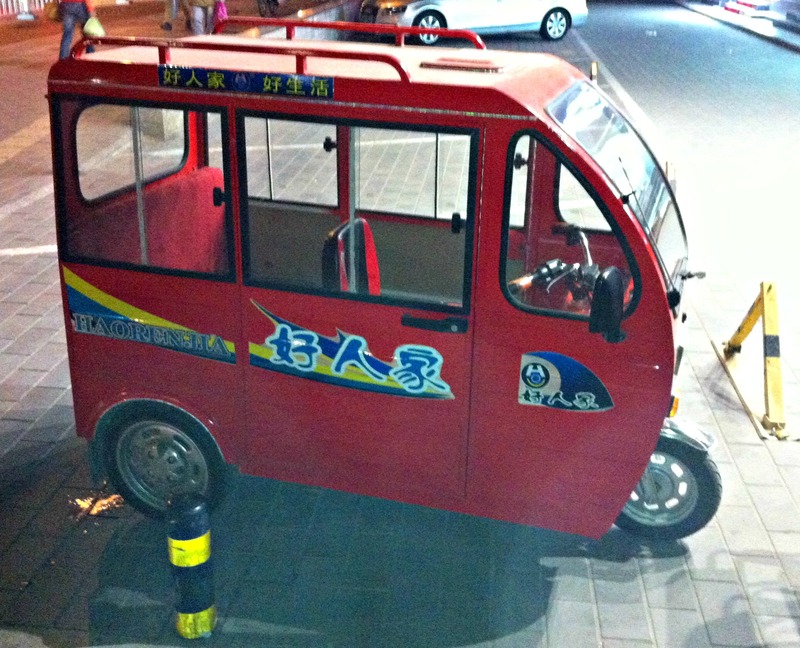 Maybe when Spring comes, we will buy one to cruise around Beijing. It would be an easy, and economical, way to get around this rather huge city. And, I guess, it would be a little safer than a scooter.